Applications for RFID within the supply chain can be found at multiple frequencies, and different RFID solutions may be required to meet the varying needs of the marketplace. Since UHF (Ultra High Frequency) has the range to cover portals and dock-doors, it is gaining industry support as the frequency of choice for inventory tracking applications, including pallets and cases. 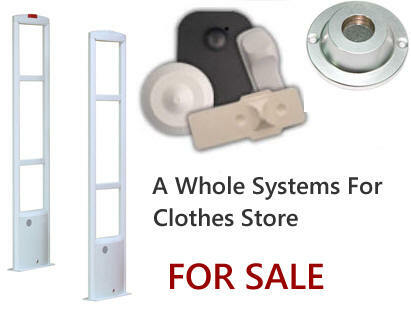 RAVIRAJ Technologies established in 2004, is dedicated on manufacturing and providing rfid reader and rfid tags with high performance and low cost. 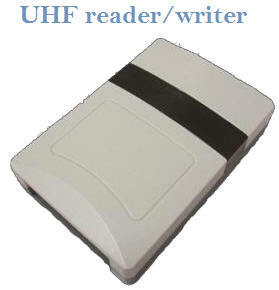 Our leading products are rfid labels, rfid tags, smart card, rfid uhf reader, rfid handheld reader, rfid UHF antennas. Raido frequency identification technology, is a new generation technology that has been widely used in our everyday life, such as security control, library management system, no-stop parking solution, logistic, jewelry management system, to enable item-level management, inventory and asset control. 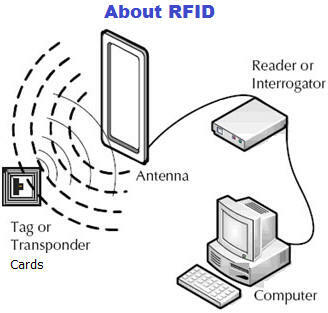 In view of this promising market, RAVIRAJ Technologies are promoting more cost-effective rfid reader, rfid labels, rfid tags, rfid smart card so as to contribute and promote this cutting-edge technology forward. We believe, by lower cost of rfid reader and tags will greatly help creating a intelligent life and people will benefit from convenience of radio frequency identification technology. As a manufacturer we are distributing our high performance and cost-effective products worldwide. We develop products according to customers? require, to ensure high quality performance and make our reader and tags easily integrated to your system and solution. From RAVIRAJ Technologies, you will find a trustworthy partner. And together we can build a brilliant future by promoting rfid technology forward. Active RFID Tags are battery powered. They broadcast a signal to the reader and can transmit over the greatest distances (100+ meters). Typically they can cost $10?$50 or more and are used to track high value goods like vehicles and large containers of goods. Shipboard containers are a good example of an active RFID tag application. Passive RFID Tags do not contain a battery. Instead, they draw their power from the radio wave transmitted by the reader. The reader transmits a low power radio signal through its antenna to the tag, which in turn receives it through its own antenna to power the integrated circuit (chip). The tag will briefly converse with the reader for verification and the exchange of data. As a result, passive tags can transmit information over shorter distances (typically 3 meters or less) than active tags. They have a smaller memory capacity and are considerably lower in cost (less than ?1), making them ideal for tracking lower cost items. Read-only chips are programmed with unique information stored on them during the manufacturing process?often referred to as a 'number plate' application. The information on read-only chips can not be changed. With Read-Write chips, the user can add information to the tag or write over existing information when the tag is within range of the reader. Read-Write chips are more expensive that Read-only chips. Applications for these may include field service maintenance or 'item attendant data'? where a maintenance record associated with a mechanical component is stored and updated on a tag attached to the component. Another method used is something called a "WORM" chip (Write Once Read Many). It can be written once and then becomes Read-only afterwards. Improved Productivity and Cost Avoidance. Decreased Cycle Time and Taking Costs Out. Reduced Business Risk & Control of Assets. Radio frequency identification is definitely an enabling technology, which means it does not provide much value on its own, but it enables companies to develop applications that induce value. The web is yet another enabling technology, and merely as the Internet enables companies to speak, collaborate, educate, sell, entertain and distribute products, RFID enables companies to do a variety of things. This short article compares the major ways RFID is being used by companies today to create value and also at some of the ways it might be applied in the near future. Keep in mind the RFID is used to identify objects or people. 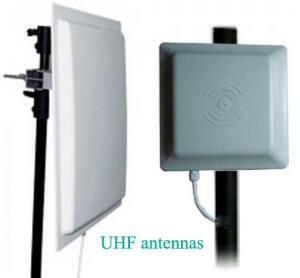 Its advantages are that it requires no human intervention, tags can usually be read even when a tag isn?t facing a reader antenna (tags can not be go through metal plus some many other materials), and also the information could be transmitted to computers in real time. Typically, whenever a read reads a tag, it passes three things to a number computer: the tag ID, the reader?s own ID and also the time the tag was read. By knowing which visitors by which locations, companies can know where a method is, in addition to what it?s, and because of the time stamp, they can know everywhere it has been. It?s no wonder that asset tracking is one of the most typical uses of RFID. Companies can put RFID tags on assets that are lost or stolen often, which are underutilized or that are just hard to locate at the time they are needed. Pretty much every kind of RFID system is employed for asset management. NYK Logistics, a third-party logistics provider located in Secaucus, N.J., required to track containers at its Long Beach, Calif., distribution center. It chose a real-time locating system that uses active RFID beacons to discover container to within 10 feet (subscribers, see Logistics Gets Cheaper through the Yard). Air Canada is saving millions of dollars each year by tracking food carts used at airports around the world. It chose to place active transponders underneath the carts (passive tags were way too hard to see around the metal carts) and readers on the entrance and exits of catering facilities around the world (subscribers, see Air Canada GETS Asset Tracking). It not just loses fewer carts and spends less time and cash taking inventory, it?s also able to better manage the movement of carts so there are always carts at the airport catering stations that need them. RFID Journal has published case studies on other successful applications, including El Paso County?s utilization of 915 MHz passive tags to trace computers and IT and office equipment (Tracking Assets from Prairie to Peak); law practice Fish & Richardson P.C. ?s use of 13.56 MHz tags to trace files (RFID Brings Order to the Law); and a Singapore company?s use of 13.56 MHz technology to trace samples of construction concrete that must be tested to ensure building safety (Tracking Concrete Cubes for QA). 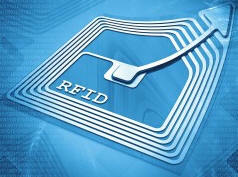 RFID has been utilized in manufacturing plants for more than a decade. It?s used to track parts and work in process and also to reduce defects, increase throughput and manage the production of different versions of the same product. Johnson Controls, a Milwaukee, Wisc.-based suppler of car and truck interiors, needs to supply seats, dashboards along with other components towards the big three automakers where the automakers need it, when they need it. Johnson Controls installed a 13.56 MHz system to trace the different kinds of car and truck seats it supplies. The machine has been proven as 99.9 percent accurate (subscribers, see Perfecting Just-In-Time Production). Boeing has been utilizing a 915 MHz system in internet marketing Wichita, Kansas, facility to track parts as they arrive, so that as they move from one shop to a different within the facility. In the past, barcode symbols related to parts needed to be scanned manually when a part visited a place where, say, it needed a unique chemical treatment. It needed to be scanned out again. If a part wasn?t scanned, the organization lost track of it. Now RFID tags track the movement of parts automatically, reducing errors and the must have people search for parts needed around the manufacturing line (subscribers, see Boeing Finds the best Stuff). AM General is applying an energetic RFID system to trace parts bins on at its Hummer manufacturing plant in Mishawaka, Ind. (RFID Revs Up Hummer Plant). And Club Car made RFID an integral part of its new golf buggy assembly line and cut the time it takes to build each vehicle?afrom 88 minutes to around 46 minutes?awhile ensuring that each car is built to a precise specifications (Golf Car Maker Scores with RFID). RFID technology has been used in closed loop supply chains in order to automate parts of the supply chain inside a company?s control for a long time. A Procter & Gamble distribution facility in Spain used a 13.56 MHz system to improve throughput, reduce shipping errors and cut labor costs (subscribers, see RFID Speeds P&amp;G Plant Throughput). Paramount Farms, which processes about 60 % of the U.S. pistachio crop and exports its products to more than 20 countries, is depends on RFID to assist automate the processing the incoming shipments of pistachios from grower partners (subscribers, see Farm Harvests RFID?? ?s Benefits). As standards emerge, companies are increasingly embracing RFID to trace shipments among supply chain partners. Canus, a Canadian manufacturer of skin care products made from goat?s milk, is applying RFID to lessen the price of checking shipments to the retail customers, and it?s looking to use RFID temperature sensors to monitor the health of products on the road (see Soap Maker Cleans Up with RFID). 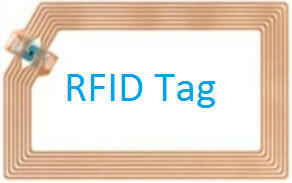 Retailers for example Best Buy, Metro, Target, Tesco and Wal-Mart have been in the forefront of RFID adoption. These retailers are currently focused on improving logistics efficiency and ensuring method is on the shelf when customers are interested it (see Wal-Mart Explains RFID Roadmap). Metro in Germany and Tesco in the United Kingdom have done extensive testing to ascertain if putting RFID tags on individual products in the store can will help them to lessen from stocks. And Hewlett-Packard is tagging printers and electronic scanners shipped to Wal-Mart?s Texas distribution centers. But given current tag costs?a20 cents to 50 cents or more?ait?s likely to be several years before RFID includes a big effect on retailing. Among the most discussed potential applications would be the ability to automate the checkout process and eliminate lines and the capability to sell to consumers who opt in to loyalty programs while they are making purchasing decisions. Experts envision people putting items right into a shopping cart software equipped with a computer, small display and RFID reader. When people who have opted into a loyalty program put a steak into the cart, they might have an ad for steak sauce or be told about wine that?s on sale. When checking out, the consumer walks via a tunnel reader, has every item in the car read automatically and pays with the swipe of contactless credit card. These applications require tags to be on almost all components of the store? something that won?t happen for at least ten years. RFID is all the rage within the logistics world, however the technology is also catching on like a convenient payment mechanism. One of the most popular purposes of RFID today would be to purchase road tolls without stopping. These active systems have caught on in lots of countries, and quick service restaurants are tinkering with utilizing the same active RFID tags to pay for meals at drive-through windows. RFID is also catching on like a convenient method to purchase bus, subway and train rides. Boston, Washington, D.C., Seoul, and many other cities are switching from magnetic stripe cards to RFID cards because the RFID allows more and more people to feed turnstiles fasters, reducing congestion, and the lack of mechanical parts in readers reduces maintenance (subscribers, see Smart Cards for Smart Commuters). Many ski resorts in Europe use RFID lift tickets. In Japan, consumers can download movie tickets to their mobile phones and enter a theater by swiping an RFID tag in the phone past a reader inside a turnstile. MasterCard and Visa are also experimenting with RFID cards and key fobs for small payments usually created using cash. RFID has long been used being an electronic answer to control who has access to offices or areas within office buildings. The very first access control systems used low-frequency RFID tags. 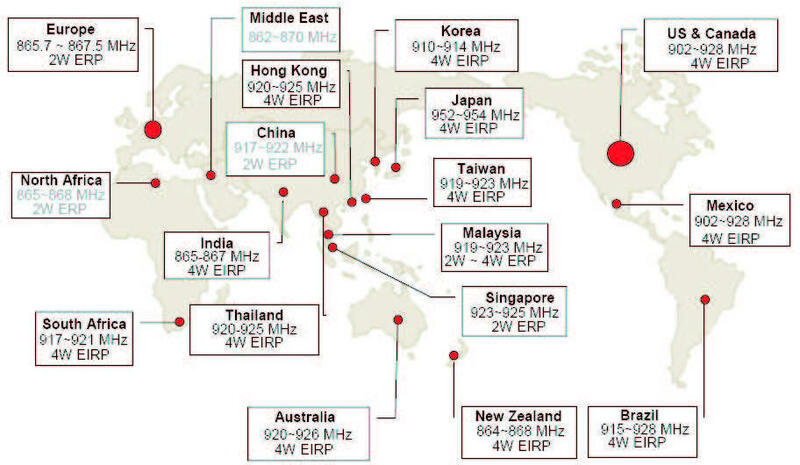 Recently, vendors have introduced 13.56 MHz systems that offer longer read range. The benefit of RFID is it works (a worker holds up a badge to unlock a door, rather than looking for a key or swiping a magnetic stripe card) and because there isn?t any contact between the card and reader, there?s less wear and tear, and therefore less maintenance. RFID may also be accustomed to secure assets. Most late-model cars come with an RFID reader in the steering column. A transponder is baked into the plastic housing round the lower key. The reader must receive the right ID from the key, or the car won?t stop. This car immobilizer system has reduced auto theft by 50 % because it has been around since Europe in 1994. Active RFID tags can be coupled with motion sensors so that when objects? as say, weapons kept in military depots? are moved without authorization, a security is sounded. RFID tags may be put on laptops and files containing sensitive documents to ensure they aren?t removed from a building without authorization. After the terrorist attacks on Ny and Washington, D.C., in 2001, the U.S. Department of transportation (DOT) conducted numerous tests of RFID seals to safeguard containers. Becasue it is impossible to check on each one of the millions of cargo containers entering United States ports every year, the DOT wishes to prevent terrorists sneaking weapons of mass destruction into the Usa through the ports by putting an electronic seal on each container. Seals are active RFID tags that have a bolt or some other mechanism for sealing a container. When the container is opened without authorization, that details are communicated to some computer next time the RFID tag in the seal is read. Then, an alert could be sent and agents can check the container (see Securing Your Cargo With Seals). 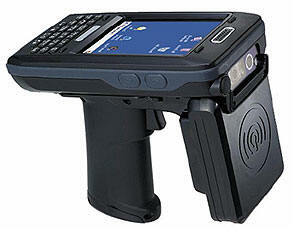 There are many other innovative ways to use RFID. One system uses active tags in a bracelet to discover children at theme parks (RFID Makes a Splash at Waterpark). Intel is promoting a prototype system that will help people suffering from Alzheimer?s disease to function more normally (RFID Aids Alzheimer?s Patients). Brink?s, the security company, has created a method in France that destroys bills when they get too much from an RFID reader within an armored car (Brink?s Arms Itself with RFID). Wireless sensors represent the next stage beyond RFID. These may be passive or active RFID tags which are coupled with temperature loggers, motion sensors, radiation sensors and so forth. The U.S. military is funding research into simple RFID sensors that may detect pathogens in food. This can be employed to protect the public against food-borne illnesses or perhaps deliberate acts of terrorism. Wireless sensors may also be tiny computers running their very own operating system, have onboard sensors and communicate data to one another. The NASA Jet Propulsion Laboratory in Pasadena, Calif., is working on a brand new generation of wireless sensor networks. In early pilots, these have been accustomed to measure soil and air temperatures, humidity and lightweight within the MacAlpine Hills region of Antarctica; to gauge the movement of water across a water recharge basin just west of Tucson, Ariz., to automatically turn on sprinklers in dry regions of the Huntington Botanical Gardens in San Marino, Calif. (subscribers, see NASA Creates Thinking RF Sensors). As RFID technology evolves and diminishes expensive and much more robust, the chances are companies and RFID vendors will build up many new applications to solve common and different business problems.